Founded by Sana and Nitin Sood, HappyShappy.com aims to turn your dreams into reality on one of the most important days of your life. 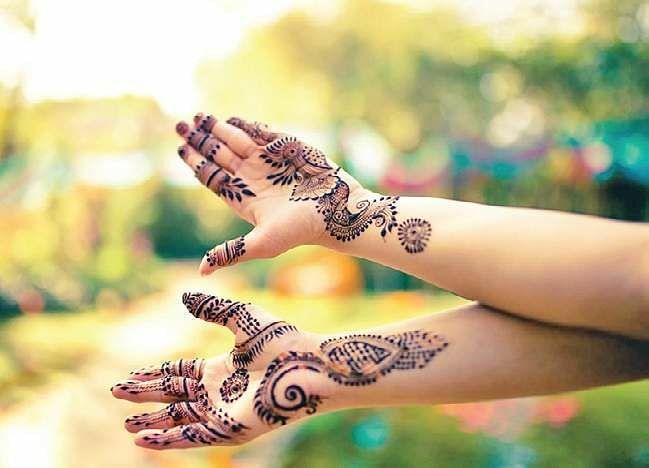 This spring wedding season log onto HappyShappy.com, a social retail portal that helps create dream boards, saving dreams and getting wishes personalised. In the process, all the chaos related to the planning of weddings and other celebrations can be obviated. Most importantly, one can realise their dreams here, just the way it was conceived. Founded by Sana and Nitin Sood, this is a platform geared to make you happy without having to move a muscle. The great news is that the company has just launched their app. Now, planning is just a tap away. Sana shifted to Delhi after 27 years in Washington DC to establish and create this company along with her husband, Nitin Sood. Nitin was previously with the World Bank in DC and also consulting with the US government on technical projects. Sana, a mother of two, had worked at PwC and a Swiss multinational, in sectors of operations and finance. “We realised that we had no life. We were going through hamster rigmaroles without being able to enjoy moments that mattered. 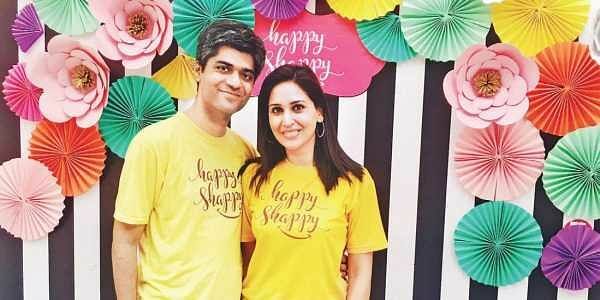 The decision to pack our bags and leave for India sprang out of that monotonous existence,” says Sana, whose creative expertise coupled with Nitin’s technical and managerial prowess is veered towards making HappyShappy a perfect marriage between an online scrapbook and a retail destination. It is an online portal where users can browse photos of fashion, looks, food, and travel—save the ones they love into Dreamboards, and then get the very things they’re dreaming of, at the perfect price. “It aims to give users the celebrations they’ve always wanted, which are not possible with an endless stream of screenshots that people take—only to forget them just as quickly—and not recall them when they’re needed for planning a celebration,” says Nitin. After a click of the ‘I want it’ button, HappyShappy asks a user by when they want the item they’re coveting, what is their budget, and any customisation required. Then it connects the user to an array of vetted vendors who can bid on making the user’s dream come true, without the individual or their families running from pillar to post trying to source what is needed. What sets HappyShappy apart is that they do not further the ‘Do it Yourself’ culture. “Despite being popular globally, Pinterest has found limited resonance in India, due to its DIY component. This culture simply does not exist in India. We are more of ‘Get it Done’. HappyShappy.com has Indianised the concept of Pinterest to suit local behaviour and needs,” explains Sana. The portal puts up new inspiration photos every day, images that link to vendors, blogs, retail sites and more. The great thing about the portal is that it is not restricted to weddings. HappyShappy is all about celebrations, be it an anniversary, a birthday party, a milestone, engagements and so on. “India loves to celebrate and we fulfil every celebratory wish with dream scrapbooks and the ‘I want it’ button. It is our responsibility to get the best vendors to the user because this is a relationship we are building,” says Nitin.Fashion designers, wedding planners, set designers, makeup artistes, food caterers and jewellery designers make the portal a busy online market where bidding for quality and price is encouraged. Save the ideas that inspire you, the photos that move you, the visuals that excite you for celebrations yet to come. It may be the full-skirted wedding lehenga you’ll twirl in, the gossamer chiffon sari for your college farewell, the LBD you’ll shimmy in on New Year’s Eve. Just go the HappyShappy route. The team will connect you to able designers, boutiques, makeup artistes, creators of all things wonderful, in a price that’ll make your wallet delirious.